"Toy Story 3" is a dark, thoughtful and at times terrifying meditation on God, the role of government, the environment, and Man's obligations to his fellow Man. Your kids will love it. The film begins 11 years after the last one ends, with Andy just days away from heading off to university. Before he goes, he must go through his things and sort them into three destinations: college, attic, trash. One thing leads to another and Woody leaves the rest of the gang behind at Sunnyside, a day care that at first blush is a toy's paradise. "Let's get played with," one toy shouts at being introduced to their new home. But soon it becomes apparent that Buzz and the others have been dropped into a dystopian nightmare and it's up to Woody to rescue them. 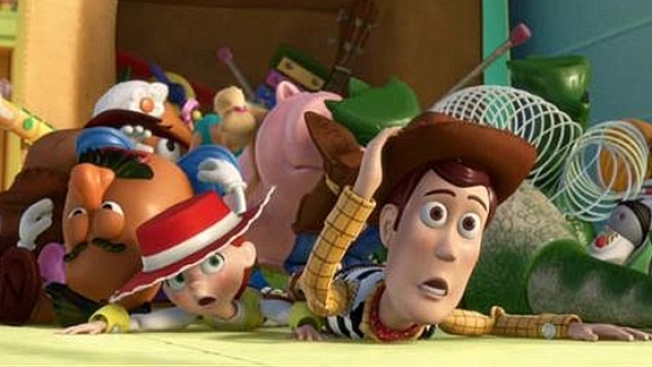 Part of the genius of the franchise began with the casting of Tom Hanks and Tim Allen as Woody and Buzz Lightyear. Nobody of his generation does "aw, shucks everyman earnestness" better than Hanks, and Allen's entire career has been built on macho bluster. The inspired casting continues in this installment. Ned Beatty shifts seamlessly from paternal assurance to menacing as Lotso; Michael Keaton may have been born to play Ken, what with his "Hey, babe" charm best ; and Timothy Dalton brings all his Royal Academy of the Dramatic Arts training to bear in his role as Mr. Pricklepants. The animation is as stunning as we've come to expect from Pixar, with a 3-D vision so fully realized that you almost don't notice it. The depth of vision the art offers is beautifully natural -- the 3-D isn't a gimmick meant to make you recoil or cover your eyes, it's a fully-realized view of the world. What's most impressive about the story that Michael Arndt, John Lasseter, Andrew Stanton and director Lee Unkrich have crafted is how serious and philosophically inquisitive things get, while remaining relatively fun and plain ol' adventure-y. "Authority should derive from the consent of the governed," shouts Barbie (of all people), and she's not joking. 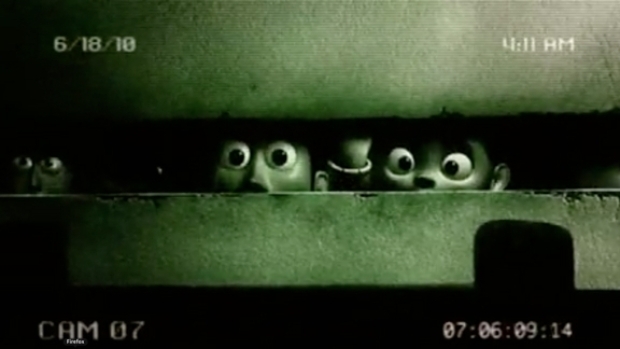 A teaser for the upcoming "Toy Story 3" is a great send up of "Saw" and any number of other horror franchises, as the folks at Disney and Pixar try to remind you that their kids' films are meant to be smart, funny entertainment for adults, too. "Where is your Andy now?!?!" growls another toy, a riff on Micah 7:10, "Where is the LORD your God?," more commonly uttered in cyberspace as "Where is you god now?" These -- and others in the film -- are serious grown-up questions that the toys grapple with. But even when they speak directly to them, your kid won't be left staring blankly at the screening wondering WTF is going on, a testament to both the writing and Unkrich's pacing. The movie is not without it's problems, as it is at times deafeningly loud and the film's end gets a little "Lord of The Rings and the Six Finales," but they're minor issues. 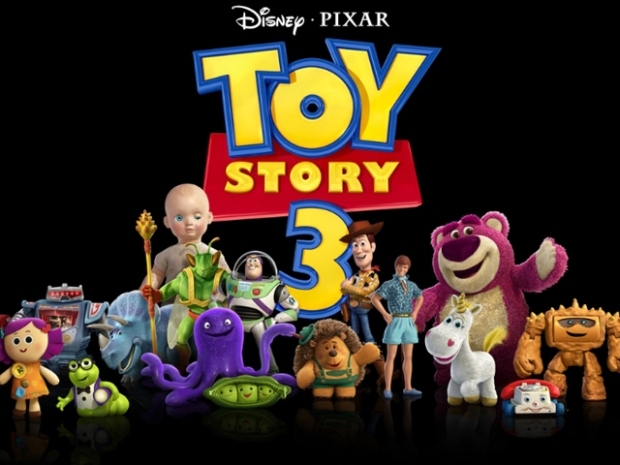 Despite talk in some corners that this is the franchise's grand finale, Tom Hanks said at the premiere that he would happily sign up for "Toy Story 4." Which of course is no reason to keep cranking out more sequels, because if this is in fact the end, Buzz, Woody and the rest have gone out on top. A glorious mish-mash of "The Giving," "The Great Escape" and some Orwellian nightmare, "Toy Story 3" is a ripping good yarn that any adult would happily watch, even without their kid.